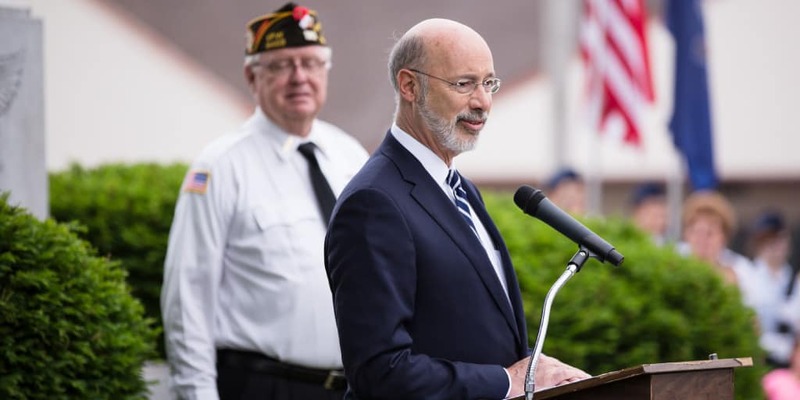 Harrisburg, PA – Governor Tom Wolf announced today that the Department of Military and Veterans Affairs (DMVA) is accepting applications for the 2018-19 Veterans’ Trust Fund (VTF) grant cycle. Up to $800,000 in VTF grant funding will be competitively awarded for programs and services benefiting Pennsylvania veterans. Grant applications must be received by 3 p.m. EST on Friday, Nov. 30, 2018. Up to $150,000 is available to counties for new, innovative or expanded programs or services operated by county directors of veterans affairs or to the Pennsylvania Association of County Directors of Veterans Affairs. Applicants in this category may request up to $20,000 per county with a priority focus on veterans’ outreach and veterans’ court programs. Up to $650,000 is available for veterans’ service organizations with 501(c)(19) status and non-profits with 501(c)(3) status under the Internal Revenue Code that have a mission of serving Pennsylvania veterans. Applicants in this category may request up to $50,000 for programs focusing on veteran homelessness, behavioral health initiatives and veterans’ courts. Eligible applicants from either category may also submit applications for programs addressing newly identified, unmet or emerging needs of veterans and their families. Since the VTF’s inception in 2013, 126 grants totaling $2,932,860 have been awarded to organizations providing services to veterans in Pennsylvania. The VTF is funded by generous Pennsylvanians who voluntarily donate when applying for or renewing driver’s licenses, photo IDs, or motor vehicle registrations; purchasing Honoring Our Veterans license plates; or making private donations. State employees can also donate to the VTF during the annual State Employee Combined Appeal (SECA) campaign. Tax-deductible donations can be made online at www.donate.dmva.pa.gov or mailed to: Veterans’ Trust Fund, Bldg. 0-47, Fort Indiantown Gap, Annville, PA 17003-5002. To learn more about the VTF and the grant application process, visit www.vtf.pa.gov or follow DMVA on Facebook at www.facebook.com/padmva.